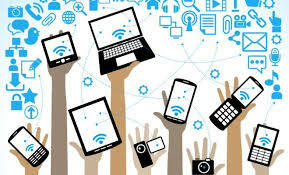 This article explores the disadvantages of technology in education. Technology plays a large role in education today but can also be harmful to students as well. Many education experts believe that technology has obstructed the steps of learning. Students no longer go through the thought process but wholly depend on technology. With a good understanding of its disadvantages, schools and parents can find the right way to blend the use of technology in order to reap more benefits than bad impacts. 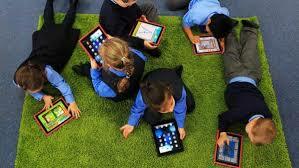 Therefore in this article, we will outline the negative effects of technology on education. 3. Disconnect learners from the real world. 4. Extinction of good handwriting. 10. Raising education Instructional challenges. 13. Makes lesson planning more difficult and expensive. 14. Medical issues for some students. 16. Loss of track of time. 18. Partial to low-income institutes. 19. Low value of in-person education. 22. A source of Distraction. 35. Cognitive, memory, behavioural impairments. Lots of lessons can easily be accessed by students through lots of websites made available. This, in turn, makes students less attentive and make them rely more on technology gadgets such as computer, laptops and smartphones creating poor studying habits. Spell checkers stop the students from learning the correct spelling of words resulting in lots of spelling mistakes when they eventually write on paper. To keep up with the pace of technology, educators and teachers only educate learners on how to make use of online educational tools instead of oral communication, in turn, making it hard for students to communicate their problems with their teachers. This makes this one of the disadvantages of technology in education. As technology gadgets as replaced the paper and pen wholly. To find a person with good and legible handwriting has become a huge problem. All important documents are typed. Students today have traded their handwriting to obtain fast learning through technology to replace your handwriting can slow down your thinking process. All important stuff today can be condensed into your favourite technology gadget today, even books. Books are genuine assets and can never be replaced with electronic books which might be cost effective at the time. E-books can easily be hacked by hackers. Also reading with a screen can be harmful to the eyes. Knowledge has no restriction and no age. Many who seek to increase their knowledge and keep on learning but it can sometimes become difficult to attend regular classes due to Job or limited mobility. Technology has provided a great opportunity to peruse online courses but students are faced with other problems such as network issues and internet speed. Online courses can also fail to arouse the internet for learning and self-discipline. Students have developed poor studying habits and a lazy attitude toward education. Sometimes, this may result in students skipping classes because they can easily find lessons online. This causes students to rely solely on the internet instead of reading their books and getting inputs from the teachers. Students fail in the classroom when they are given the test without any form of technology. Since technology is created by man and man has some faults, so technology cannot be perfect. Technology faults and computer malfunctions can cause the loss of assignments and other important data stored. This can lead to high levels of stress. Website owners today are more concerned with the rank of their websites on search engines concentrating more on that. They do not focus on their content which might cause them to come up with the wrong information which has been copied and pasted from other unauthentic and unauthorised sources. Students can be misled by these wrong information creating a large hindrance in their learning development. Teachers and educators need to stay in tune with technology for them to be retained due to the constant development in technology. Many who have spent the majority of their lives teaching with traditional methods may find it too hard to adapt to the constant advancement in technology and in turn, may see it as a threat to their job security hereby shunning technology altogether. Many teachers today believe that continuous use of digital technology affects students attention span and their ability to withstand challenges thrown their way. What makes this point one of the disadvantages of technology in education is because not all students have access to basic technology. Since not every household has access to steady food security, it will make technology a secondary necessity to them. They cannot attend some educational institutions due to this problem. Technology can help students to learn well and better but only if there is a human along to guide, correct and check-ups. Students need an educator to guide them through and create more motivation for them. Not every teacher or educator knows how to make use of modern technology. Learning how to use a new technology tool can be labour-intensive. Staring at the screens of technology gadgets can create eye strain. Some symptoms of eye strain can include feelings of tiredness, irritation of the eyes and sometimes hazy vision. It can also lead to more serious conditions like ‘Computer Vision Syndrome’. Some many students can get addicted to making distractions that technology proffers. It may cause them to sometimes resist in joining in family activities or going outside to engage in outdoor activities. Students can often lose track of time while using their favourite gadget with a screen. This can lead to sitting for long periods of time which can lead to obesity, hyperactivity and other severe issues. It can also cause Change in the sleep patterns of students. Students who make use of technology may find it hard to pick up a real book. Students want to rely only on technology for answers without trying to think about them first. Technology needs a lot of money to be us in educational institutes especially in colleges that require lots of computers to due to a large number of students. Not all schools can afford to make the computer available for all the students. In addition, many of students cannot afford a personal computer of their own, therefore making it harder for learning to be effective. This is one of the disadvantages of technology in education especially in developing countries where funds are unavailable. Studies have shown that students who enrolled in online courses have higher opportunities to drop out, failing and may not benefit from them. 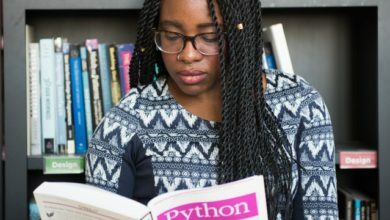 This is due to the lack of mentorship and connection as well as adequate feedback from teachers to push this student towards utilizing this knowledge. Exposing students to advanced technology can put their privacy at a risk every day. Even with online security, there is no complete way to abolish the risks. This may lead to identity theft. Gone are the days that students have to use only pen and paper. Technology gadgets cost more to acquire and also to maintain. A lot of money is spent to update outdated softwares which are more compatible with the developing technology. Students find many components of modern technology distracting to them while studying hereby distorting the learning process. Presently, social networking sites rule this generation being very attractive to students who spend the time they should study in updating their post, chatting, counting the number of like, checking their friends status. All these activities can bring a huge gap between them and their education. The overuse of technology in the classroom discourages teamwork, which would have otherwise being ecstasy for increased social skills in the children. This is indeed of the greatest disadvantages of technology in education as education should not be only about academics. Too much technological use in the classroom may push out the practical sections that would have otherwise involved lots of physical activity. This, therefore, increases susceptibility to preferring a sedentary lifestyle at quite a young age. The use of a technological tool and excessive use of video games may make students form the habit of trying to get others to do things for them. These create the “shortcut” syndrome as I call it, thereby letting them search the internet for individuals who can help them with their school work. This is an enormous negative effect of technology because today, we have graduates who cannot defend their certificates adequately. A child whose education was solely governed by technology may become isolated. He or she may fail to develop normal communication skills such as making eye contact, listening etc. 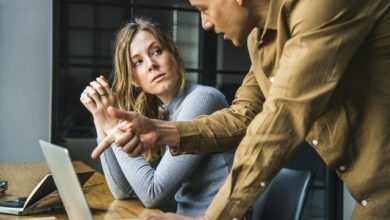 With the lack of these skills, it would become quite hard to pass job screening interviews as well as have normal relationships with other human beings. Due to the increased use of technology by children, it is becoming more difficult for them to concentrate on any particular purpose. It can even affect their abilities to set a goal and stick to it due to the fact that there are too many distractions to easily sway them. The mental health is critical if your child is to receive a sound education. One of the disadvantages of technology in education is that its use may impact not just on the developmental skills but also on the mental health. Some of these problems include the development of Anxiety disorder, depression, psychopathic tendencies and many more. The excessive use of technological devices in education may lead to the development of a narcissistic attitude, which is, an unhealthy craving for attention. Many have been known to commit suicide or fall ill because they equate the number of likes or reactions on their pictures on the internet to being loved. Some studies have shown that kids who regularly use the internet may be prone to becoming more aggressive due to the lack of the appropriate social and communication skills. Students who study more often on the Internet are prone to developing anxiety or panic attacks and feelings of paranoic especially for the pings from their Social media accounts in the background. Children who spend more time learning through the use of video games might not exactly be prepared for real-life scenario and so may develop feelings of depression when they find it hard to cope with life. Students who are taught with the use of technological devices might be more likely to express unhappiness with school than students who engage in learning activities that do not require the use of technology. With the rapid increase in technology, teachers are losing their foothold in their classroom. Students now tend to disrespect them when it seems as though their lessons are different from those they find on the internet. This is an apparent negative effect of technology because it decreases the avenue for connections and mentoring in the classroom. Excessive use of technology may also affect the student’s memory, muscle control, emotions, speech, decision making, self-control, and sensory perception; all of these they need to face the world after school. Technology in itself is a lovely thing. However, many schools are struggling to find a balance between nominal activities and the best ways to limit technological use. And so, there are many disadvantages of technology in education seen in this schools due to lack of understanding and inappropriate application. Parents and educators must join hands together to find the right balance between the use of all these applications so that these negative effects would be minimized and more advantageous effects obtained. What are your thoughts on these effects? We would love to hear from you.